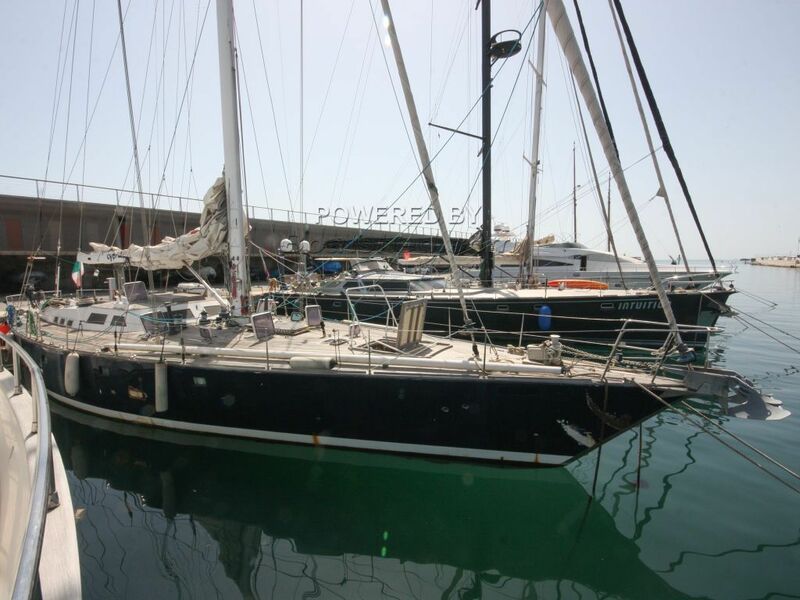 Main, Genoa & Cutter total 473 sq.m. UPDATE: suffered fire damage, all electronics burned , ceilings and the captains cabin has sustained severe damage . Part of electric wiring needs to be replaced . Offers welcome. Engine, generators etc have not suffered any damage. Electric panel being refurbished. Please note that we do not have costs for the repair or a detailed report of the damage. See description below. Stern suffered storm damage and is planned to be repaired. Keel can be lowered or lifted. hydraulic, manual and electrical operated. Keel also has wings that extend. Tank pumps and electric motors replaced 2016. VHF Icom fixed + 2 x handheld. We are delighted to be the exclusive brokers to offer this one-off serious cruiser designed by Sciomachen and built by Bordogna. The boat has been undergoing some refurbishment and some areas do need completing. There has been some storm damage at the mooring but this work is planned soon and the boat can be purchased before or after the works and the price can be adjusted accordingly. The boat was last lifted May 2016 when the hull was stripped back and new multi-layer epoxy primer was applied before fresh antifoul and new anodes. Engine serviced and fuel tanks cleaned 2016 (owner is planning next engine service June 2018). Below she is huge with the galley stretching across her stern with a large saloon and nav station ahead before the main accommodation area. Irish Registered, easily transferrable. A summary of work is and further details is available to serious potential purchasers. This Bordogna Sciomachen 23m Sloop Steel Cutter Rigged Blue Water Cruiser has been personally photographed and viewed by Paul Griffiths of Boatshed Barcelona. Click here for contact details.